Selecting a builder can be one of the most important decisions you make about your new home. It does not have to be the most difficult. With some time and research, you can find the right builder for your home. If you're in the market for a new home, you should shop for your builder as carefully as you shop for your home. Whether you are buying a condo, a townhouse, a house in a subdivision, or a custom built house, you want to know that you are buying a good quality home from a reputable builder. Here are a couple of tips to help you choose a builder. • Contact your local home builders' association to obtain a list of builders who construct homes in your area. 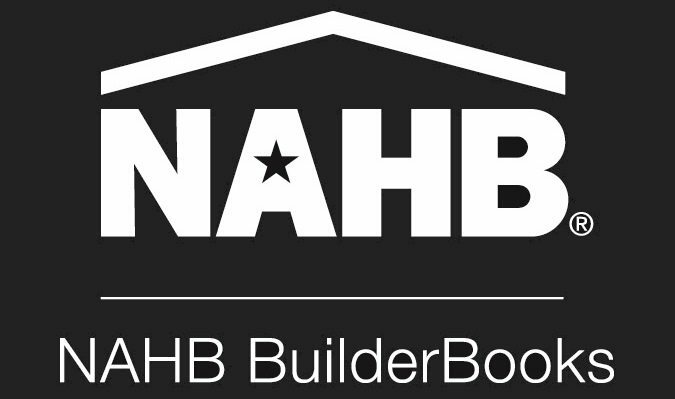 You can find your local HBA at nahb.org/findanhba. You can also look on Move.com, NAHB's official new homes listing website. homes they are building, and the prices you can expect to pay. Make a list of builders who build the type of home you're looking for in your price range. recommendations. Ask about builders they have dealt with directly, or ask them for names of acquaintances who have recently had a good experience with a builder. •Ask builders on your list for the addresses of their recently built homes and subdivisions. Builders may even be able to provide names of some home owners who would be willing to talk with you. •Drive by on a Saturday morning when homeowners may be outside doing chores or errands. Introduce yourself and say you are considering buying a home from the builder who built their home. Talk to several owners, and try to get a random sample of opinions. The more people you talk with, the more accurate an impression of a builder you are likely to get. At the very least, drive by and see if the homes are visually appealing. • When you talk to builders and home owners, take along a notebook to record the information you find and your personal impressions about specific builders and homes. Doing so will help you to make comparisons later. Some questions you can ask people include: Are you happy with your home? If you had any problems, were they fixed promptly and properly? Would you buy another home from this builder? Usually, people tell you if they are pleased with their homes. And if they are not, they'll probably want to tell you why. Look at new homes whenever you can. Home shows and open houses sponsored by builders are good opportunities to look at homes. Model homes and houses displayed in home shows are often furnished to give you ideas for using the space. You may also ask a builder to see unfurnished homes. When examining a home, look at the quality of the construction features. Inspect the quality of the cabinetry, carpeting, trimwork, and paint. Ask the builder or the builder's representative a lot of questions. Get as many specifics as possible. If you receive the answers verbally rather than in writing, take notes. Never hesitate to ask a question. What seems like an insignificant question might yield an important answer. • Contact your local home builders’ association for the names of member builders and remodelers. Also ask family, friends or coworkers for recommendations. • Make sure the builder or home remodeler has a permanent business location and a good reputation with local banks and suppliers. • Find out how long they have been in the building business. It usually takes three to five years to establish a financially sound business. You want to make sure they will be around after the construction is complete to service any warranties. • Check the contractor’s license for a valid license at the WV Division of Labor Contractor Licensing at http://www.wvlabor.com. Click on Licensing. • Make sure the builder/remodeler has sufficient workers compensation and general liability insurance. If not, you may be liable for any construction-related accidents on your premises. • Ask the builder/remodeler to provide you with names of previous customers. If they won't, beware. If they do, ask the customers if they would hire the builder/remodeler again. • Ask if you can see the builder/remodelers work, both completed and in progress. Check for quality of workmanship and materials. • Do you feel you can easily communicate with the builder/remodeler? Remember you will be in close contact with them throughout the construction process and afterward as you live in your new home. • Make sure the builder/remodeler provides you with a complete and clearly written contract. The contract will benefit both of you. If you are having a new home built, get and review a copy of the home warranty and homeowner manual as well.